Welcome To Clay’s RV! Thank You For Stopping By Our Site! Our staff has over 30 years experience specializing in repairing and maintenance of units. 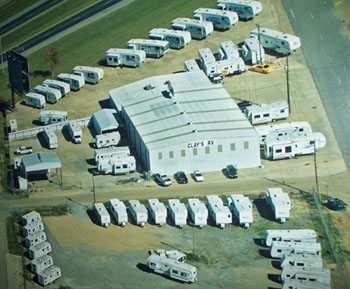 Mr. Clay has put special emphasis on training required to make sure your RV of choice is a safe towing match for your tow vehicle. Haven’t decided on a tow vehicle yet? We have the expertise to advise you on what will work best for your towing needs.